To facilitate the daily monitoring when drying a water-damaged home or business, the SERVPRO of Greater Broken Arrow team takes into consideration that you have a life, and/or a business. It may not be convenient for us to monitor the affected area during a normal work day. We often use creative ways to access your home or business to complete necessary monitoring that works within your schedule. Drying a home or business is a science. To get a water-damaged room back to preloss condition safely, efficiently and quickly, SERVPRO of Greater Broken Arrow utilizes standard set by the IICRC. Daily evaluation of moisture levels in contents, structure and air gives direction in making proper adjustments in dehumidification equipment. 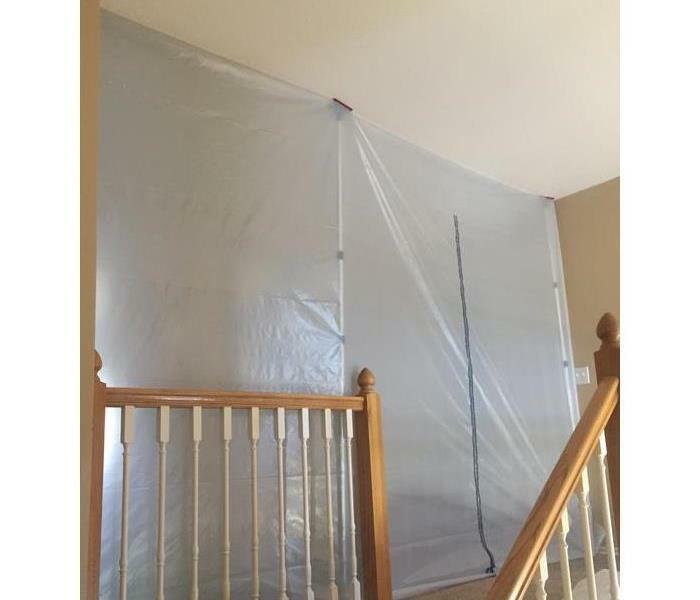 A fast response is crucial in any water damage to help minimize secondary damage- water wicking up walls or on contents; prolonged exposure to humidity creating risk of mold. In a business it also can affect profitability. SERVPRO of Greater Broken Arrow is local. We are able to respond within minutes to get a plan in place and begin removing water from your home or business. One example of drying a wall behind a cabinet is to try to dry the wall from the other side of the wall. SERVPRO of Greater Broken Arrow uses whichever method is best for the situation. Another way is being employed here- to drill homes in a toe kick and force air into the openings. Once the wall is back to preloss condition, a matching veneer can be placed over the small holes. Less-invasive steps can equal getting things back to normal more quickly. The SERVPRO of Greater Broken Arrow team is trained to be alert and attentive, especially when in the homes or businesses of our customers. 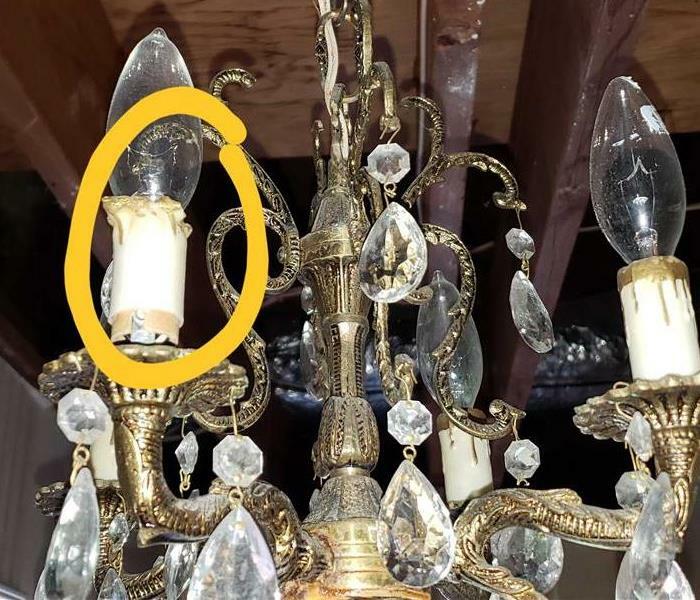 One observant team member noticed that one light in this ceiling fixture appeared to be melting, creating a fire hazard. Power to the fixture was immediately shut off, customer notified, and a fire prevented! Having your home and life disrupted by fire or water damage is more than an inconvenience. SERVPRO of Greater Broken Arrow tries to be as efficient in the mitigation and restoration process as possible. Some times that involves containing an area to allow more efficient drying, or for minimizing the effects of reconstruction. We want to make you happy and will do our very best! SERVPRO of Greater Broken Arrow tries to be as non-invasive as possible to help our customers get back to normal as quickly as possible. It is important to minimize life disruptions, but even more so in a work environment, since many families are affected. In helping this business in Jenks recover from a recent water damage, the cove base was removed, and holes drilled in order to allow affected walls to dry from inside and out. When the walls have become back to preloss moisture level, cove base will cover the holes and business will continue, having had minimal disruption. Call us when disaster strikes. We are always ready to help! When a strong Oklahoma wind overpowers a roof, the roof is left vulnerable to storm damage... especially when the wind is accompanied by a rain storm as well.That is what happened to this Tulsa business. In a short time, the soaked ceiling fell on the office below. SERVPRO of Greater Broken Arrow was called to quickly mitigate the damage. 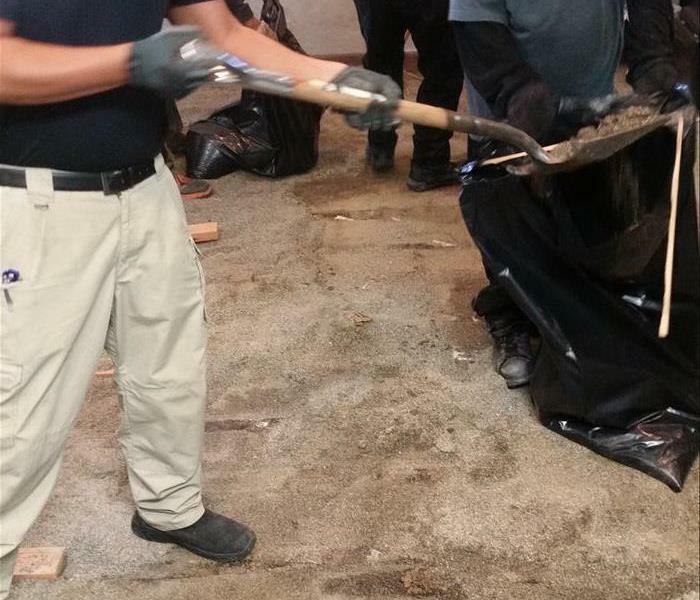 The team was able to remove the debris, clean and dry the affected area and contents. The business was able to get back to normal soon. The team at SERVPRO of Greater Broken Arrow remains trains, ready and eager 24/7 to assist our neighbors with any emergency. 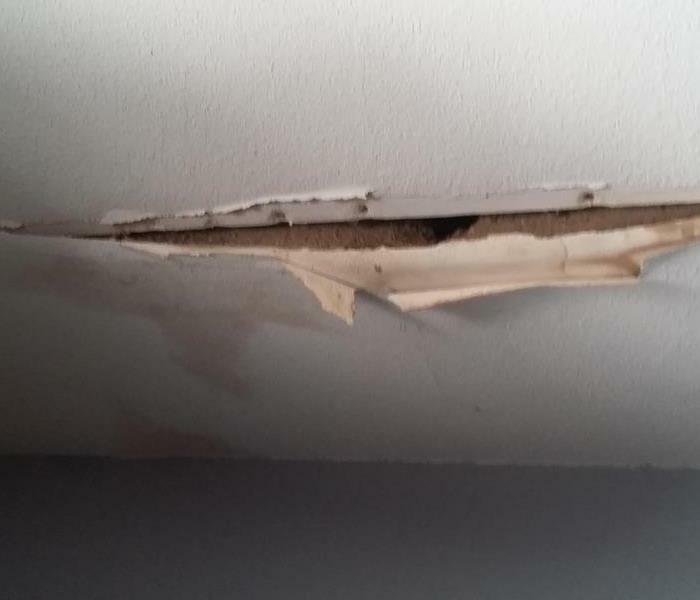 Who do you call when a water leak in the attic has saturated the insulation and ceiling so much that the heavy drywall and insulation falls and covers the floor in the tanning room of your salon? The correct answer would be SERVPRO of Greater Broken Arrow. The team at SERVPRO is always ready to come when things cave in, when life gets messy, when the (artificial) sun won't shine. 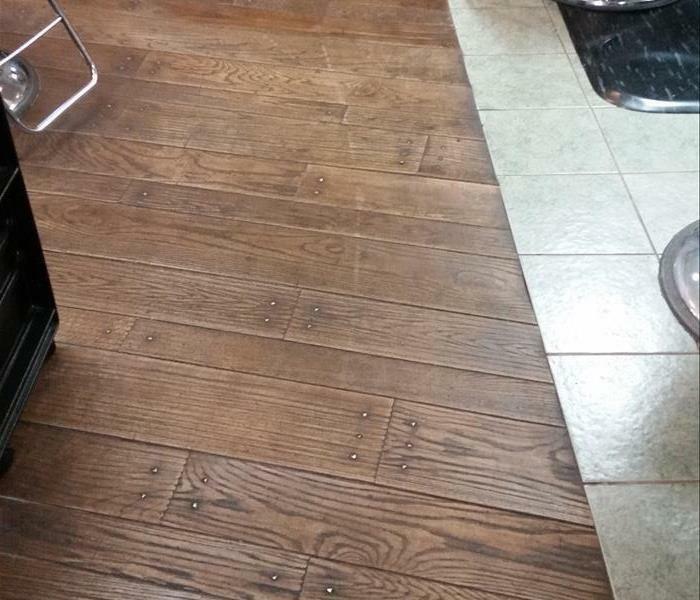 The SERVPRO of Greater Broken Arrow team quickly cleaned up the salon, removed the soggy debris, carefully and efficiently dried the structure and contents. after repairing the leak and replacing ruined drywall, the salon was soon able to help folks feel beautiful. Discovering an area of suspected mold behind an appliance, such as a washing machine, or a refrigerator is a very common occurrence. The set up is right for mold growth- humidity, food (such as dry wall or wood) and mild or warm temperatures. 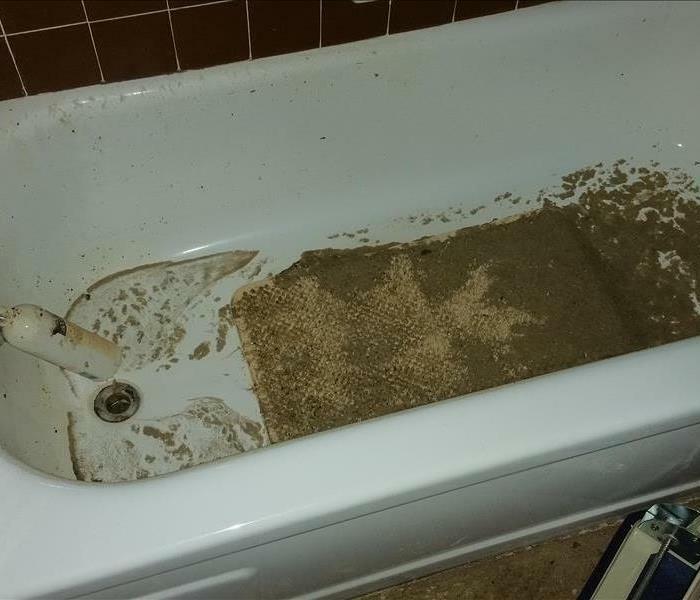 Often times, the discovery of mold is a relatively minor event- just a few small spots, in a bathing area, that can be quickly cleaned or removed. When a more involved area of suspected mold is discovered in your home or business, properly removing the mold in a safe manner, and minimizing the risk of spreading the spores to other areas is important. If you suspect mold, give SERVPRO of Greater Broken Arrow a call! We are trained and ready to help! By nature, floors accumulate soil. Soil travels, usually with a bit of help with us using our feet. This business suffered a fire loss and much soot accumulated on the floor, combining with the every day soil. A series of moppings easily cleaned up this industrial floor. At SERVPRO of Greater Broken Arrow, we like to keep it clean! 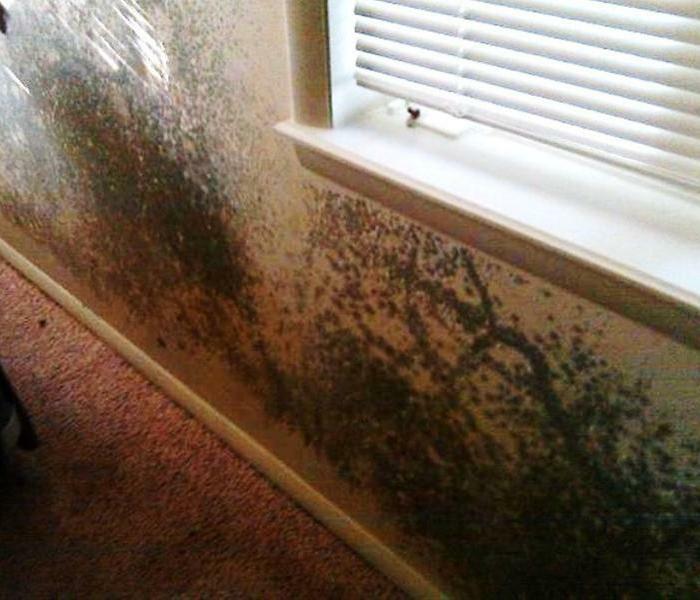 Often while helping a client with a fire or water damage, a discovery of mold is made. 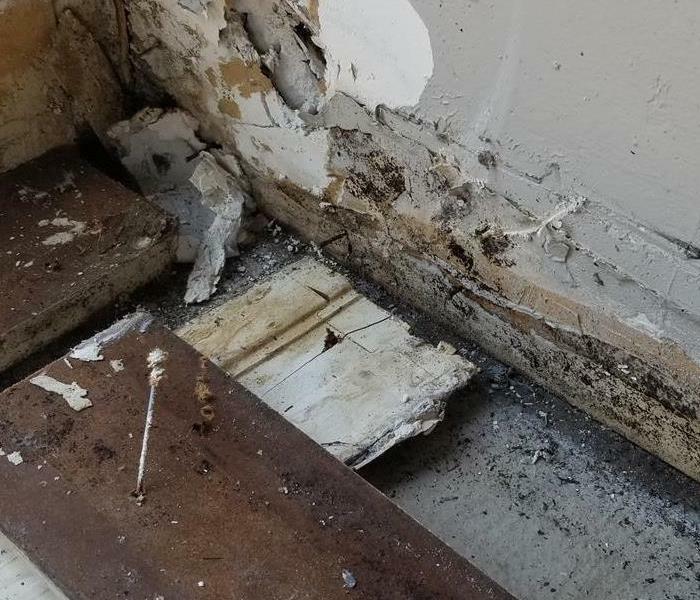 This time, while removing the baseboards in order to access the wall cavity to facilitate drying the saturated wall, behind several of the baseboards, suspected mold was discovered. Steps were taken to safely deal with the mold and move efficiently forward with the water mitigation. SERVPRO of Greater Broken Arrow is trained and ready to mitigate your crises- water, fire, smoke, vandalism, etc. Roof leaks are truly not contagious, but sometimes it may seem that way. if a storm is severe enough to damage one roof, it is very likely that there is nearby another roof or two that also has succumbed to the harsh effects of an Oklahoma storm. It is especially true if the buildings in an area are close in age and the roofs also installed in a similar time frame. 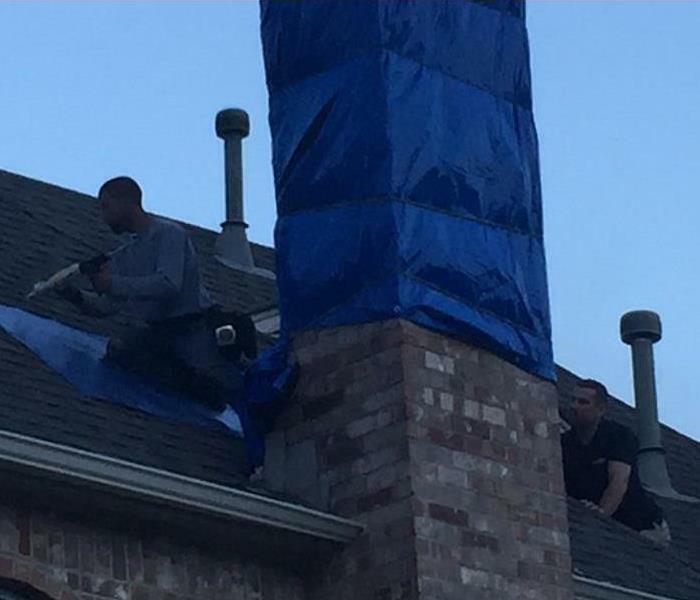 If you notice that your neighbor's roof has sustained damage, it might be prudent to have your own roof evaluated. A slow leak in the roof can damage the ceiling under the attic. If the leak allows moisture long enough, there is risk of mold growth. Fire in a home or business has far-reaching effects. This Tulsa area home experienced a fire that began in an attached garage. Smoke quickly spread throughout the house, affecting every room. SERVPRO of Greater Broken Arrow was able to help the family get back to normal as quickly as possible. Recently, some of the SERVPRO of Greater Broken Arrow team members gathered after one of our daily morning "work in progress" meetings in order to send a smile to our friends. Oklahoma, where the wind comes sweeping down the plains, and the waving roof shingles, soon become loose singles as the wind blows them right before the rain. The culprit- a typical wind, and rain storm in Tulsa Oklahoma. The wise home-owner called SERVPRO of Greater Broken Arrow to dry and restore the interior, and contract a roofing company to repair the exterior to keep the home on the land, grand. 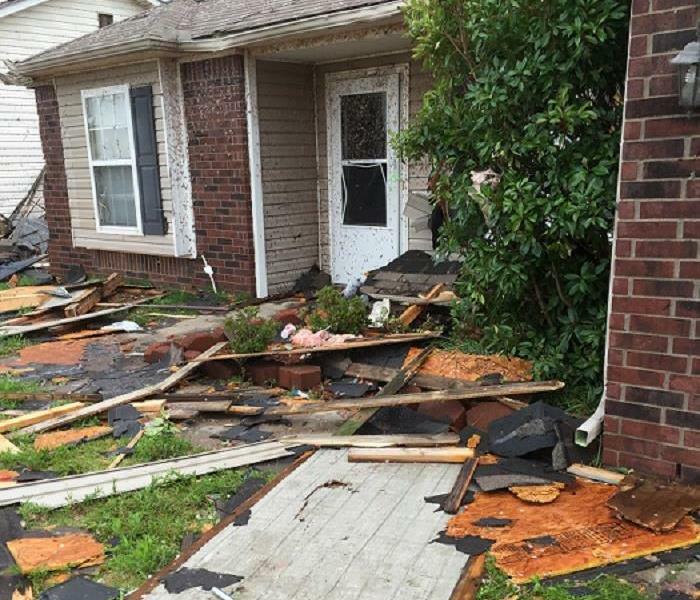 In spite of being hit by lightning, the homeowners and their home escaped extensive damage. SERVPRO of Greater Broken Arrow was able to have a crew on site to tarp and protect the home as the next storm headed their way. Seeing a small amount of water on the floor is a normal situation in a commercial kitchen. However, water covering the entire floor of the facility is cause for alarm. SERVPRO of Greater Broken Arrow was on the scene in Owasso, OKlahoma quickly to extract standing water, and to begin the drying and remediation process. In a restaurant, water is desirable for drinking and washing, not for walking upon. 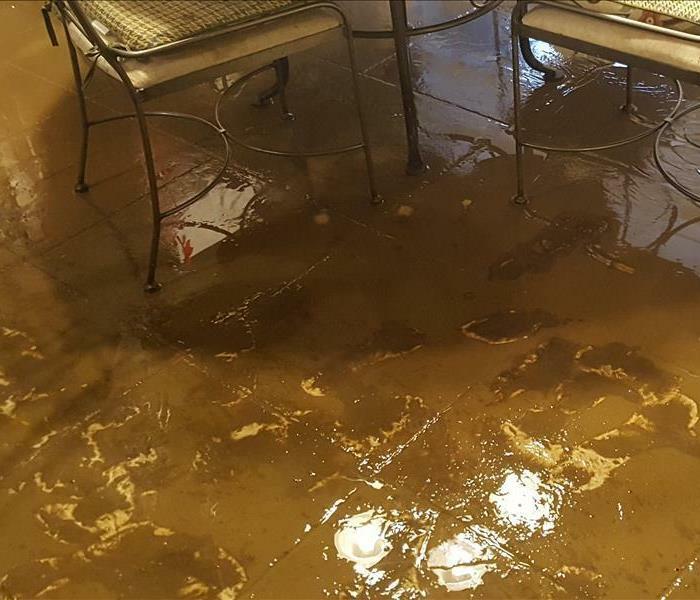 When this Tulsa restaurant unexpectedly experienced a water leak, They called SERVPRO of Greater Broken Arrow. The SERVPRO team quickly responded to begin to dry and mitigate as efficiently as possible so patrons could once again enjoy great food in a dry and safe environment. 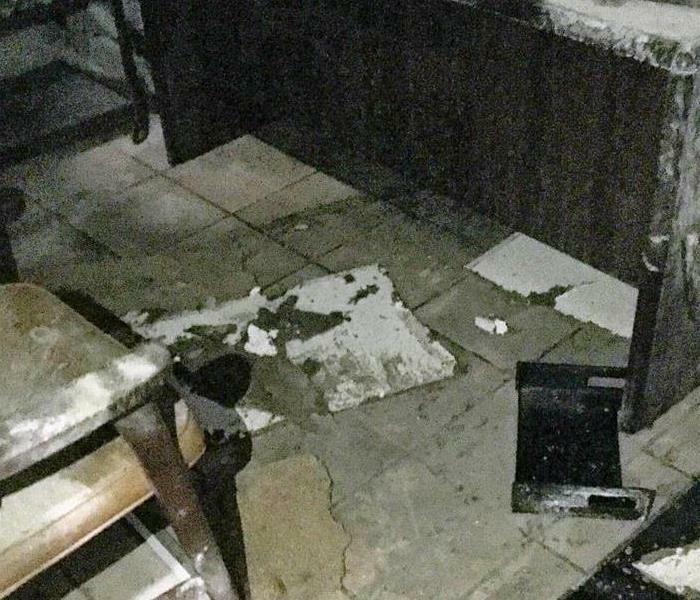 When the manager of this spa arrived to open up, a water damage was discovered. Wood flooring had begun to show cupping. 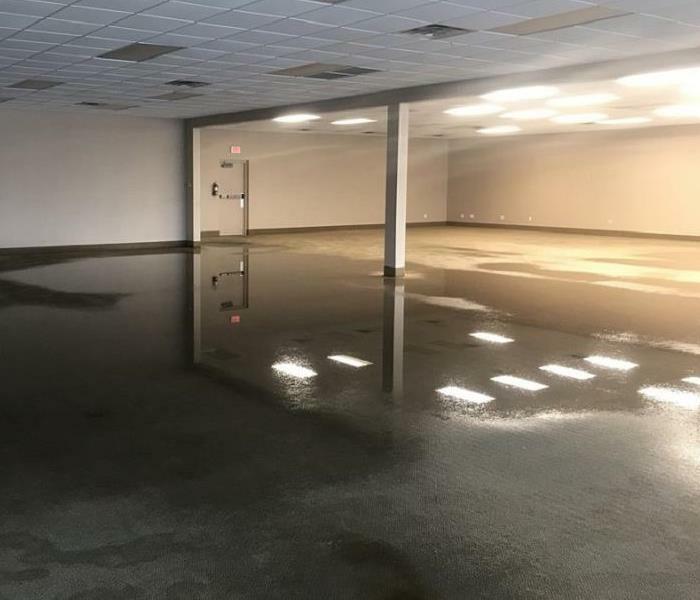 Once SERVPRO of Greater Broken Arrow was called, the team arrived quickly to remove standing water and to begin the drying and restoration process. This is not a sand pit he is standing in. This particular business has a very unique flooring. Underneath the beautiful custom wood floor and supports was a layer of sand. 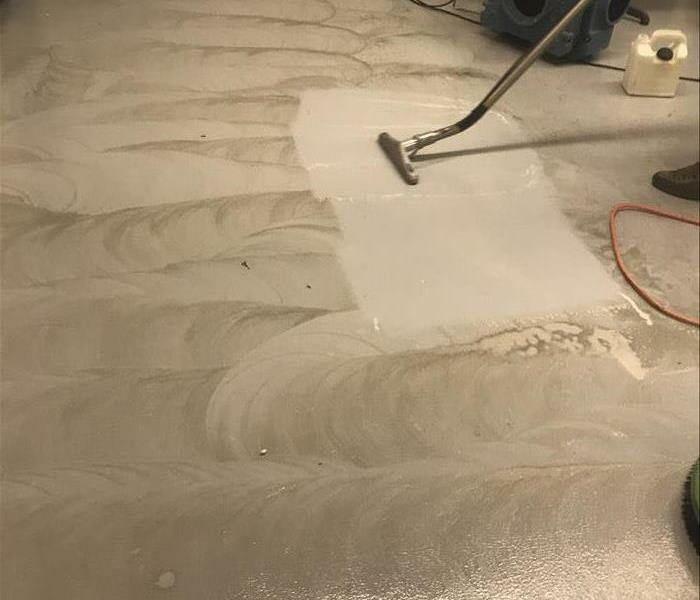 In order to dry the floor where water had migrated, underneath the flooring, the SERVPRO of Greater Broken Arrow team got down to the nitty gritty. Many hands made short work so the floor was ready to dry quickly and the Tulsa area business was on the road to recovery soon. We are always ready to help! A water heater malfunctioned in an adjoining business. As water crept under a shared wall, the valuable merchandise of this clothing store in the Tulsa area was at risk. 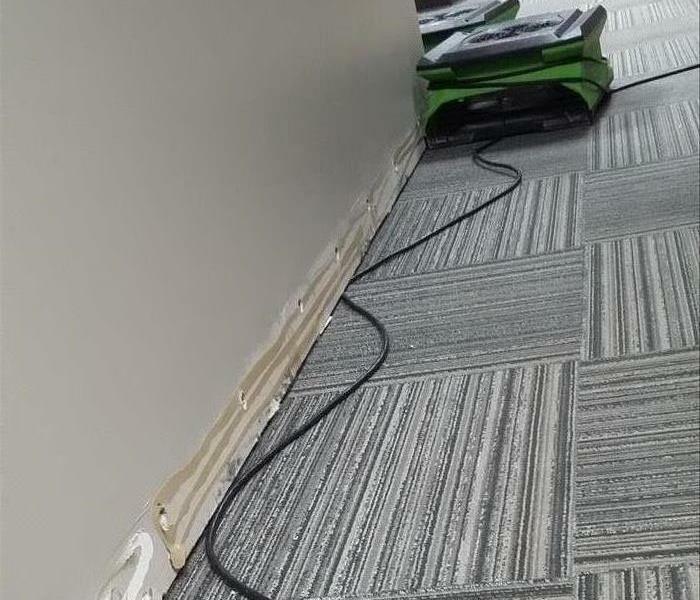 The wise manager quickly called SERVPRO of Greater Broken Arrow to come right away to extract standing water and to set up equipment to dry the air, walls and flooring. With careful calculations and daily monitoring and adjusting, all the areas were reading dry and the store was able to continue "like it never even happened." Whether or not an item is considered valuable in the sense of dollars, it may be priceless to you. In the midst of a crisis, a family may be displaced, may be dealing with injuries, or other health affects from the event. Let SERVPRO of Greater Broken Arrow carefully clean and care for your affected items so you can take care of more important matters and get back to a normal life. Vacuuming and pre-treating, preparing the carpet for cleaning before the new owners move in. 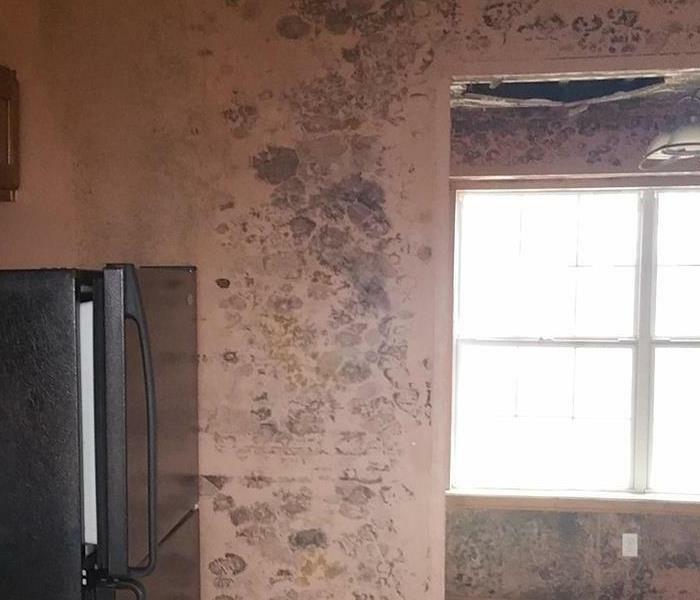 While the occupant was away for an extended time from their Grand Lake home, unexpected moisture accelerated the mold in this home. Fortunately, They called SERVPRO of Greater Broken Arrow. Extensive remediation was necessary to make the home habitable again. Although it looks like a spider's cob webs in this Tulsa home, this is a phenomena created by smoke damage. Smoke and fire can create damage in many ways in addition to the heat- odor and particulates can permeate throughout the building. 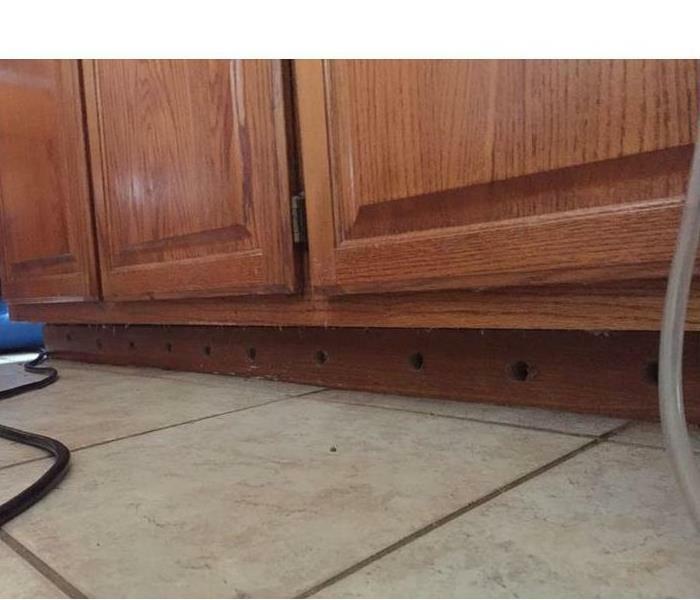 Water can devastate a floor. Water often finds a channel underneath wood flooring to spread further than you can feel by touch or observe by sight. 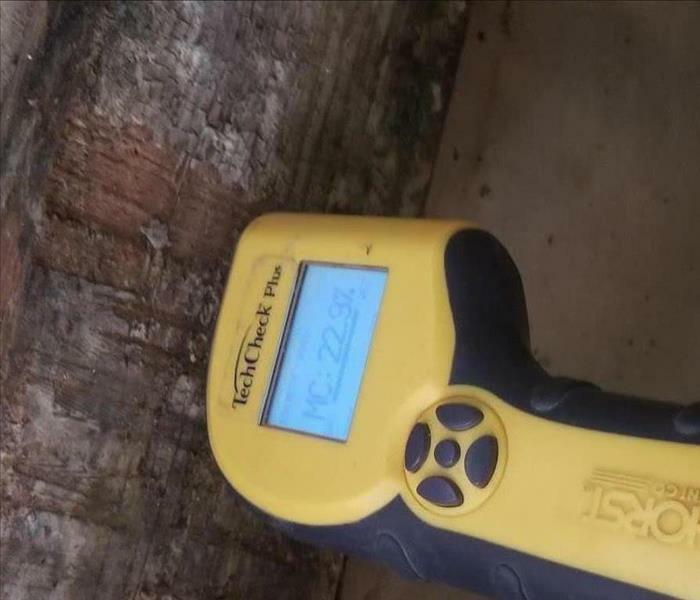 Using meters and thermal cameras, SERVPRO of Greater Broken Arrow trained technicians can locate the affected areas and begin the process to dry the structure. Water can come from a slab and the leak can become an unexpected and unwelcome detour to your daily routine. Sometimes the slab leak is not discovered until water has affected flooring, and walls. Quick response is important to get the water source stopped the drying of the structure initiated. After the water has been extracted from a water intrusion, specialized equipment is placed to assist the drying process. A SERVPRO trained professional daily monitors and adjusts the equipment until the drying is complete. Dehumidifiers, and fans can be a bit noisy during the process. No one wants to experience a fire in their home or business. Damage from the fire, and water from the fire-extinguishing process can leave an overwhelming situation to face. SERVPRO of Greater Broken Arrow is trained and ready to assist you, walk with you through the clean up and restoration process to help you get your life back to normal. Be alert in freezing Oklahoma weather. Even if gutters are clear, ice can form into a dam and can cause damage to your home by allowing melting ice to seep through the roof. SERVPRO of Greater Broken Arrow is ready to help you, should you experience any water intrusion. 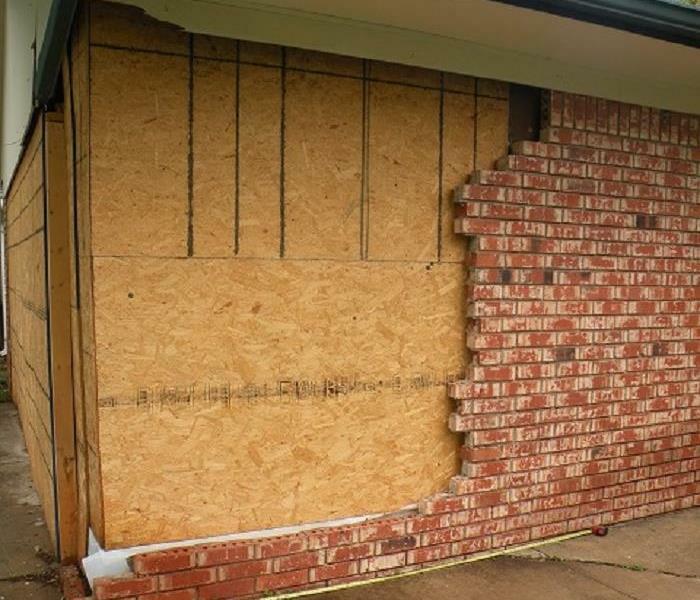 Whether the damage to your home or business is caused by a resident or a stranger, call SERVPRO of Greater Broken Arrow. We will help with any home or business damage or cleanup so you can get your "normal" back. Sometimes, no matter how alert you are, things break; things wear out; things happen. This leak was observed fairly early and was stopped before extensive damage took place. SERVPRO is trained to dry out your home and help you get back to normal. When water leaks invade wooden flooring, water can travel extensively underneath the planks before you are even aware of any problem. 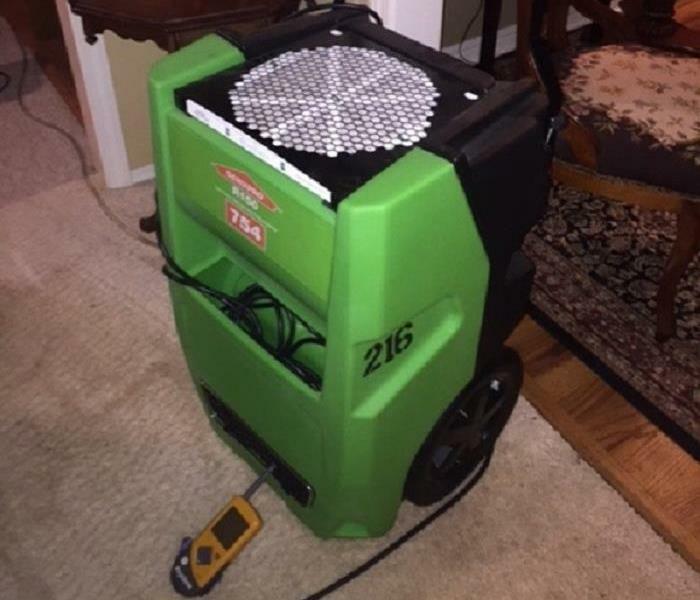 SERVPRO of Greater Broken Arrow has equipment that can in many situations save wood flooring in a water intrusion. Smoke and soot from a fireplace can permeate your home quickly. Even a relatively minor event like a "puff-back" can affect the entire interior of a structure. SERVPRO of Greater broken Arrow can help. Review tips on this website for what to do until help arrives. 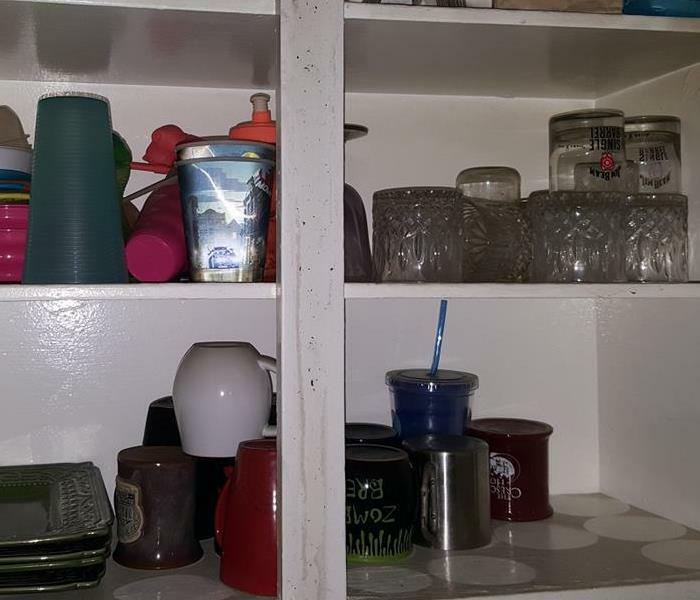 There are areas of your home that you do not observe on a daily basis- water heater closets, behind washer or dryer or dishwasher, under sinks, etc. 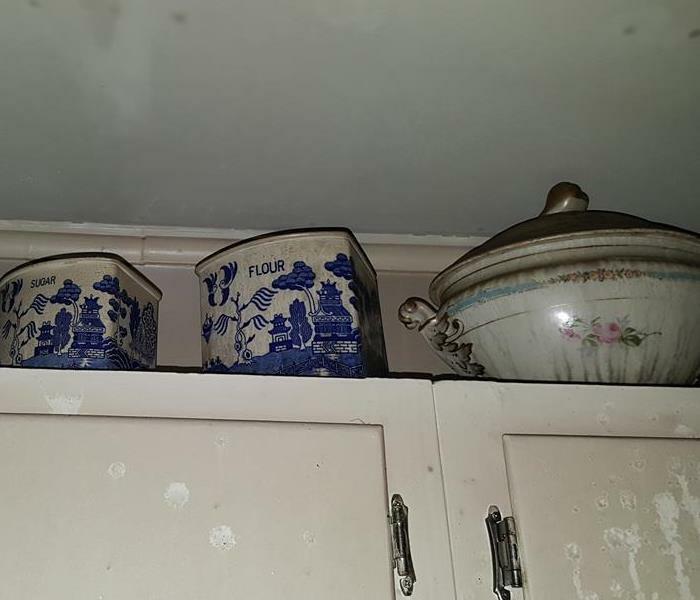 If an unseen leak continues, the moisture can develop mold. 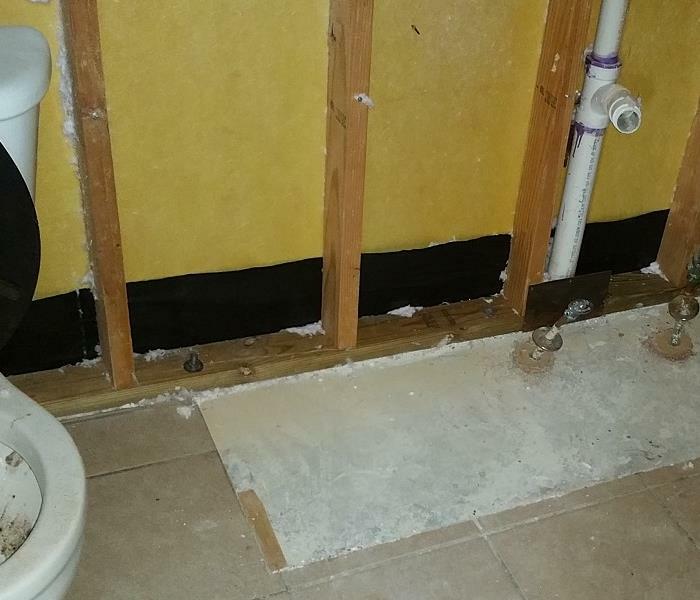 When a water intrusion occurs, please call a trained professional who can identify the extent of affected areas and how to best proceed to get your environment back to a safe level. A water leak can drip slowly or a line can suddenly fail and spread rapidly from the water leak and affect many areas of your home or business. The force of a burst line can also erode walls in the process. 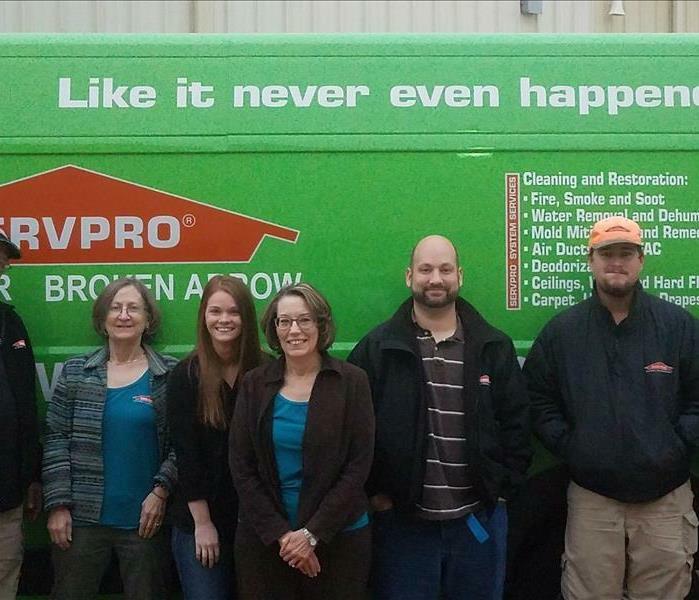 SERVPRO of Greater Broken Arrow is trained to extract, clean up, dry and restore to help make it "Like it never even happened." SERVPRO of Greater Broken Arrow tries to be efficient with minimal intrusion to aid in your life getting back to normal as quickly as possible. Sometime it is unavoidable to cut out drywall in order to dry inside a wet wall, but sometimes, removing baseboard and drilling access holes behind the baseboard is sufficient to get air and dehumidification inside the wall cavity. Overdue for a professional carpet cleaning. 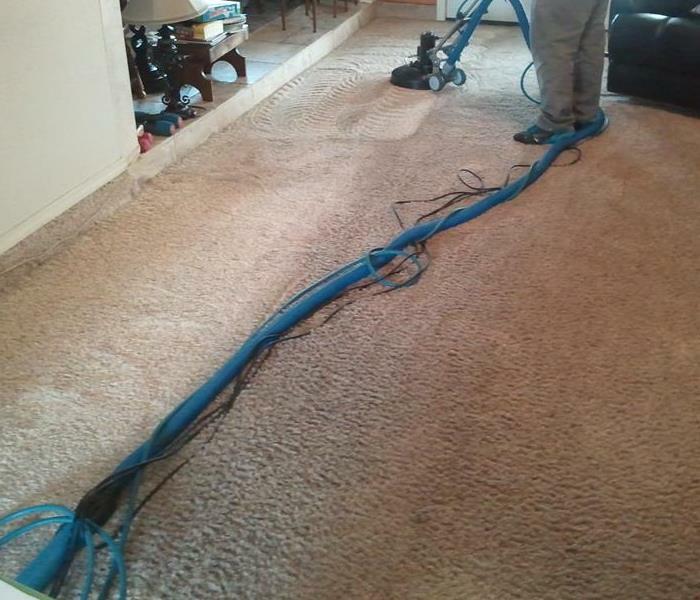 When it is SERVPRO of Greater Broken Arrow vs. heavily soiled carpet... we all win! 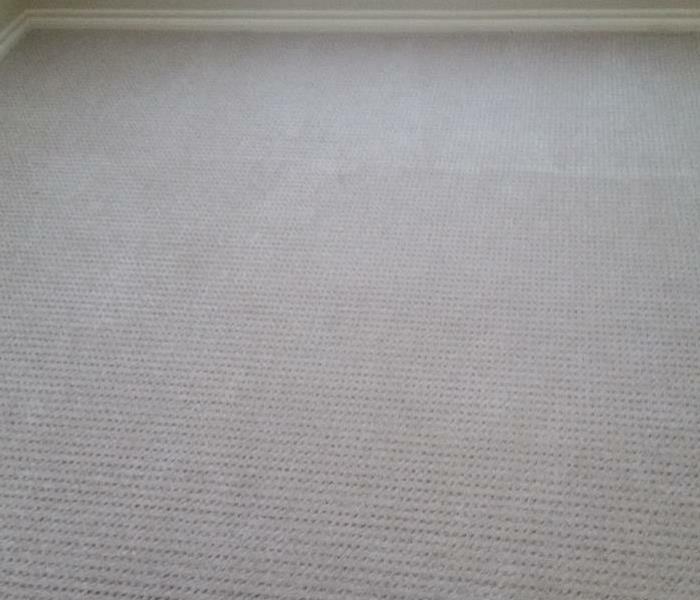 Some carpet manufacturers require regular cleaning to maintain the carpet's warranty. 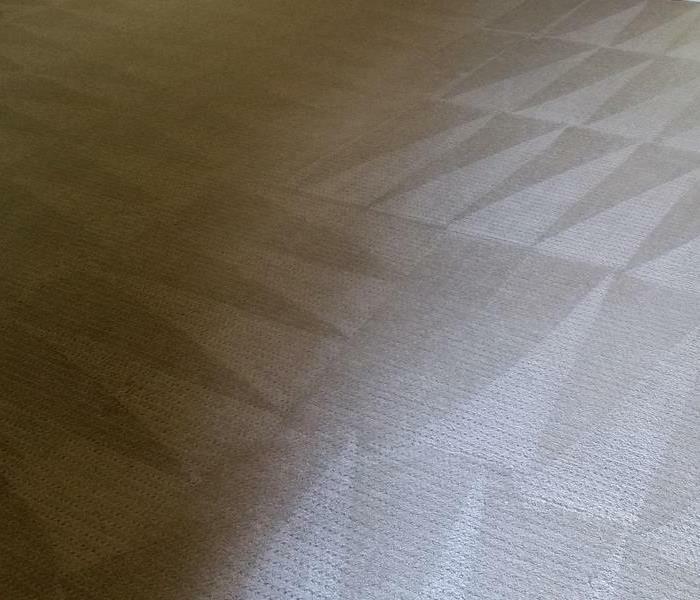 Even if not, having SERVPRO of Greater Broken Arrow regularly cleaning the carpet professionally adds longevity to the carpet and removes contaminates from your environment. Living Oklahoma means risk of tornadoes is a reality.From the threat of one, to living through a tornado, to the aftermath can be very stressful. SERVPRO of Greater Broken Arrow is ready to help you with the drying, clean up and restoration to help get your life back to normal. Who do I call to deal with mold in Broken Arrow? SERVPRO ! Mold inside the home is never a welcome finding. But it does not mean you are defeated, helpless or alone. Trained SERVPRO of Greater Broken Arrow technicians were able to mitigate this mold without spreading the mold spores further into the home environment. Seeing the toilet overflow onto the floor is not the best way to start your day. 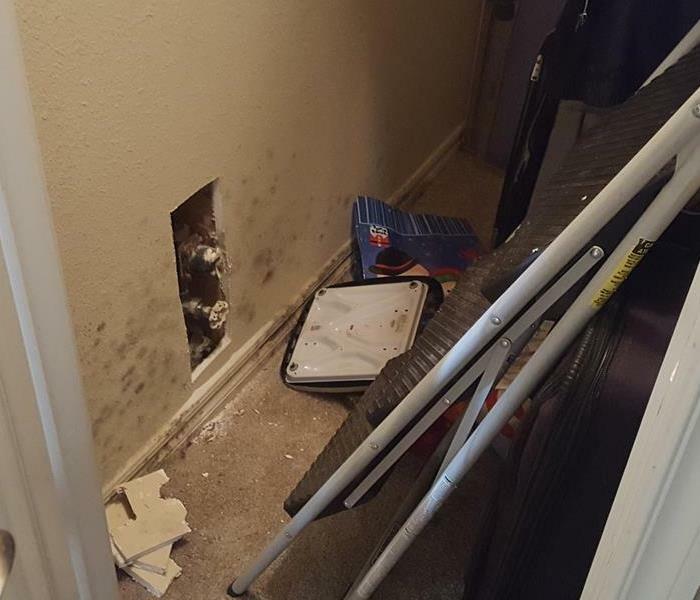 SERVPRO of Greater Broken Arrow came to extract the sewage, remove contaminated drywall, clean and sanitize as the beginning of the process to make it "like it never even happened." 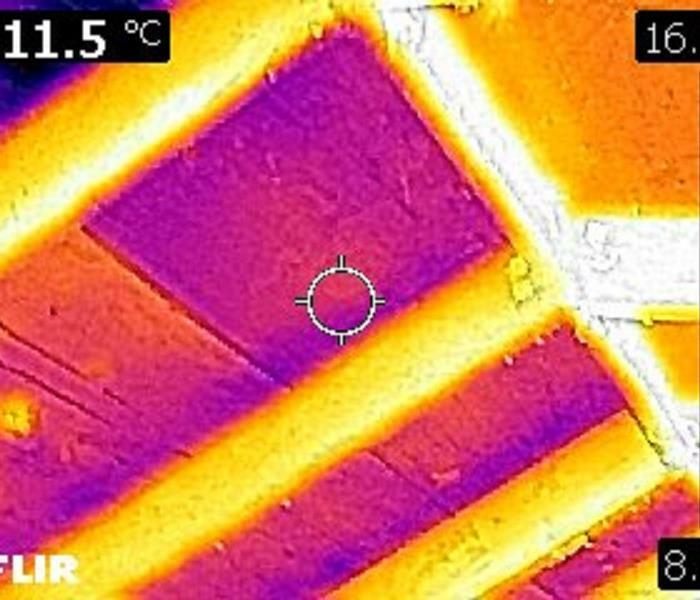 Not exactly x-ray vision, but an infrared camera is one tool SERVPRO of Greater Broken Arrow uses to help trace the extent of water leak or flood damage in your home or business. More than meets the eye, or touch, or guessing. Definitely not what you want to come home to. Look on this website for steps to take while awaiting SERVPRO of Greater Broken Arrow to come and clean up and remove contaminated, unrestorable materials. SERVPRO is ready to assist you in times of stressful, unexpected events. After the sprinkler has quenched the fire, water and smoke damage remain. Fire-damaged walls, ceiling, floor, woodwork, and contents. What do I do? Let SERVPRO of Greater Broken Arrow mitigate, re-mediate, restore. You need to get your life back to normal quickly. Drying is a science- much more involved than turning on some fans til floors don't feel wet to the touch. 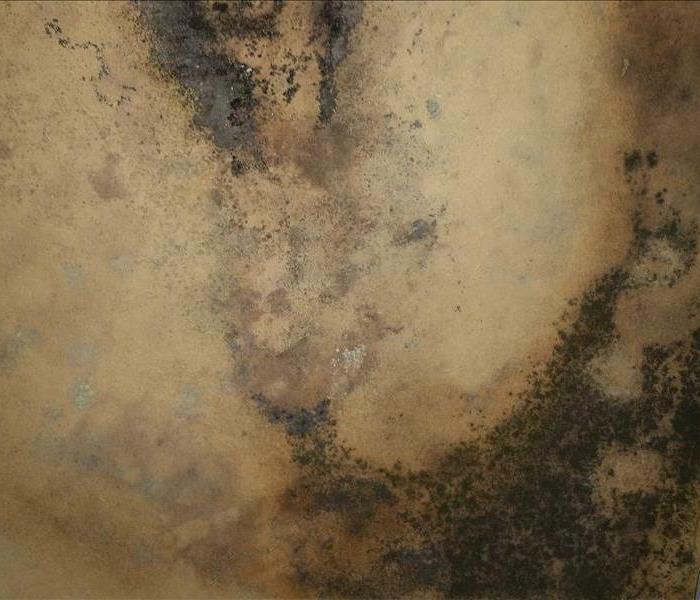 If the structure and contents are not thoroughly dried quickly, the microbial (mold) risk increases. SERVPRO of Greater Broken Arrow carefully monitors and adjusts until drying is complete. How do I get mold out of my kitchen in Tulsa? 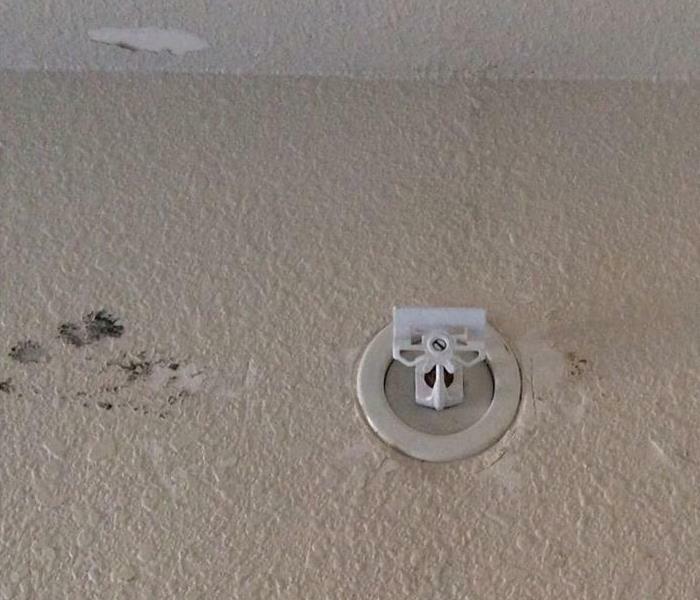 Mold is practically everywhere. It is natural, but it becomes a major problem when left unchecked in an indoor environment. Mold can cause allergic reactions to humans and animals. SERVPRO of Greater Broken Arrow has helped many of our neighbors mitigate, remediate and restore so life can get back to normal. Discovering that mud has entered your home can be shocking. A flood is not an event that one typically expects to deal with. Everything that has come in contact with the flood water or mud is contaminated with unknown elements from the outside. Some items can be salvaged. Many items must be disposed of. The team at SERVPRO of Greater Broken Arrow team is trained to deal with contaminated water intrusions and help you get your life back as quickly as possible.